From Riva del Garda (see Gallery, Cima Capi) head up the Ponale trail, turn off to the right onto the trail SAT 405 Fausto Susatti until you come to the junction with the trail SAT 470 del Bech (1). From Biacesa in Valle di Ledro (see Gallery, Cima Capi - Cima Rocca) follow directions for the trail SAT 470. 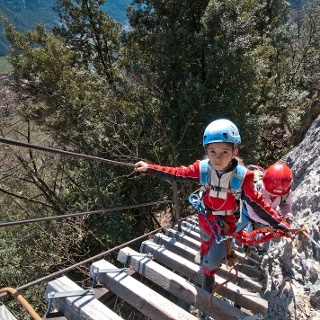 Leave the trail SAT 471 Delle Laste, which leads up to Cima Rocca on your left, follow directions for ferrata Susatti until you come to the junction with the trail SAT 405 (1). At the junction of the trail SAT 405 and SAT 470 head up along the ridge, using stirrups and rungs to get over a short section on rock. 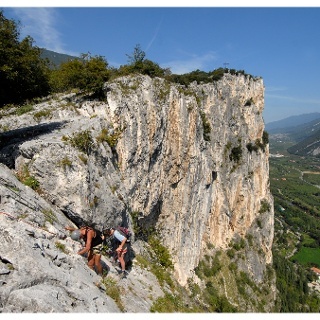 After a section on the trail you ascend the limestone outcrop of Cima Capi with some exposed sections (2) until you come to a prominent block of rock (3) where you have a short athletic section. After a cleft, easy rocks take you to the trail which leads to the top. Head down from the top on the north side, easy but very exposed, until you come to the saddle between Cima Capi and Cima Rocca. 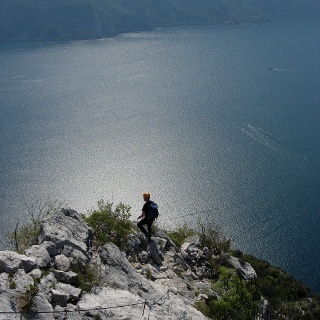 From here you can head down towards Riva del Garda or Biacesa. 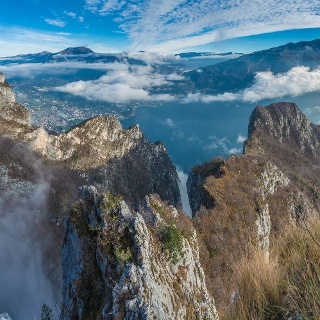 For Riva del Garda (see Gallery, Cima Capi) descend on the north side crossing the east face of Cima Rocca (4) and the valley after it; leave the trail for Bocca Pasumer on your left and you come to Bocca Enzima. 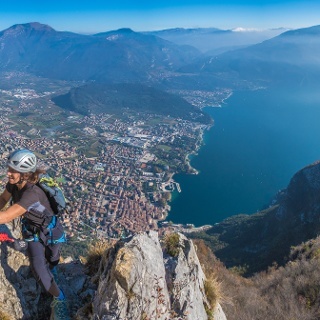 Head down the side overlooking Riva del Garda until you come to the penstock and the trail SAT 405 which leads to Riva del Garda. For Biacesa (see Gallery, Cima Capi - Cima Rocca) take the ferrata Mario Foletti SAT 406 on your left which traverse the southern face of Cima Rocca and leads to the shelter Bivacco Arcioni in about 40 minutes. 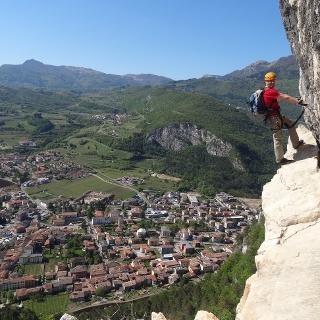 From here head down to Biacesa on the steep trail SAT 460 which takes you past the chapel of San Giovanni. Riva del Garda is connected to the other centres of Garda Trentino with local buses. The line Riva - Val di Ledro connects Riva del Garda to Biacesa. Parking place for a fee available in via Monte Oro; free parking place via Galas. Anstrengender Aufstieg ab Diva. Aber lohnenswert! 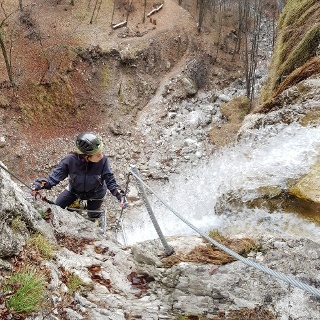 Schöner Steig mit toller Aussicht, nicht so stark begangen wie der Via Dell' Amicizia.